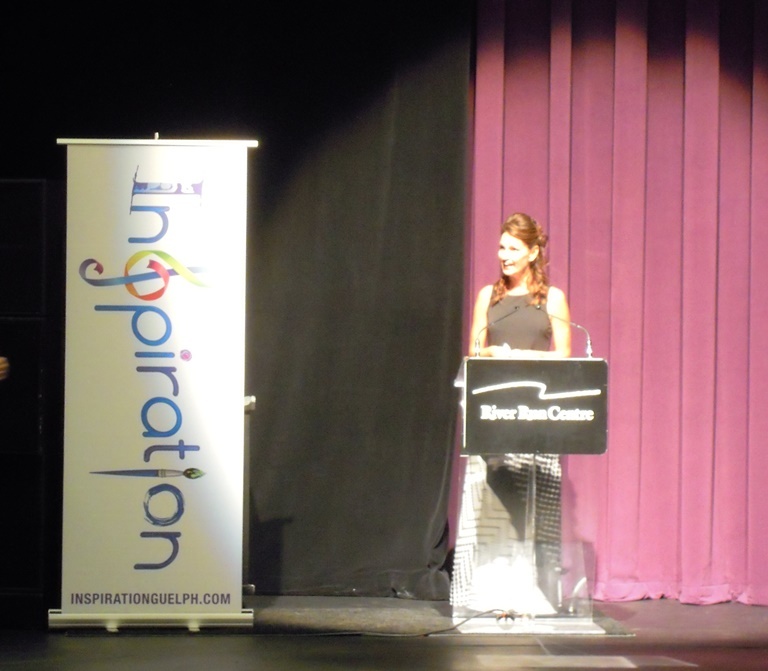 GUELPH, Ontario – On November 2, Guelph’s River Run Centre hosted a truly inspirational evening. Inspiration is an annual fundraiser for the Children’s Foundation of Guelph-Wellington’s Free to Play Program. Inspiration 2017 featured performances from Upper Grand District School Board students, staff and local community members. 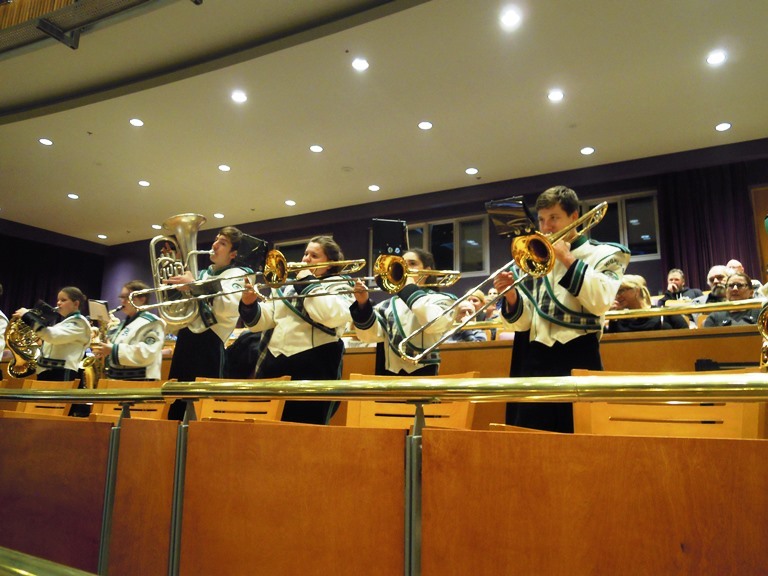 The evening kicked off with Guelph Collegiate Vocational Institute’s marching band performing “O Canada.” The GCVI marching band then set the tone for the evening and got the audience ready for the event by performing an amazing rendition of “Push It” by Salt ‘N’ Pepa. Following the inspiring performance from GCVI, members of Team Canada Dance hit the stage for their performance of “Adios.” Team Canada Dance was on hand for several performances throughout the evening including a tap performance to “Libertango.” These dancers put so much enthusiasm and passion into their performances and their dedication really came through. Other headlining performers included members from the cast of the hit TV series The Next Step. Isaiah, Noah, Allie and Akiel captivated the audience with their dance performances. The Making-Box improv team hit the stage and asked for audience volunteers. After receiving an overwhelming amount of support from the audience, several volunteers helped the improv team create a comical sketch where they brought images to life. Later this month, Royal City Musical Productions Inc., will be hitting the stage at the River Run Centre for their performance of Shrek the Musical. The audience was fortunate enough to see a sneak peek of that performance when the cast of the show performed “I’m a Believer” by Neil Diamond. Members of the cast are as young as elementary aged students and the talent they have is unbelievable. Following the intermission, the audience heard a rendition of “Escalator Blues” by Jeff Darrohn, performed by the Jazz Squirrels. This jazz group is made up of several 12-year-olds from St. John’s Kilmarnock School. St. John’s Kilmarnock Junior Choir was also on hand to perform “Sing” by Andrew Lloyd Webber and Gary Barlow. The audience got really pumped up when the Cheer on Bears Cheerleading group came to the stage. The performance included junior and intermediate performers and was full of tumbling, dance and talent. To end the evening all performers came together on the stage to sing “All you need is Love” by Paul McCartney and John Lennon. This performance was a great way to end the evening as performers worked together in perfect harmony. The UGDSB is proud of the students and staff that were involved with Inspiration 2017. The hard work and talent that went into the event really paid off.